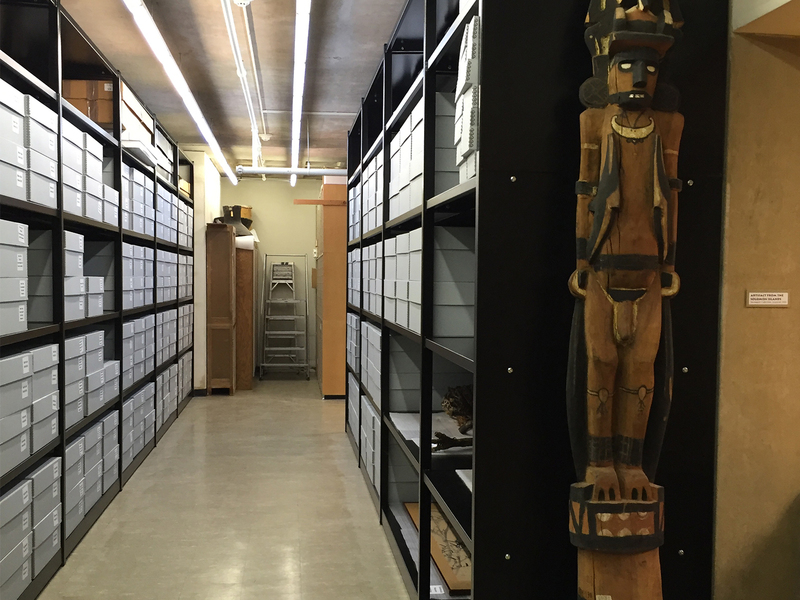 Often, our clients need custom furniture to fit their space and specific use. At Toledo Furniture, we work closely with our customers, from design to installation, to ensure that we develop furniture solutions that are right for them. Below are examples of some of these solutions. 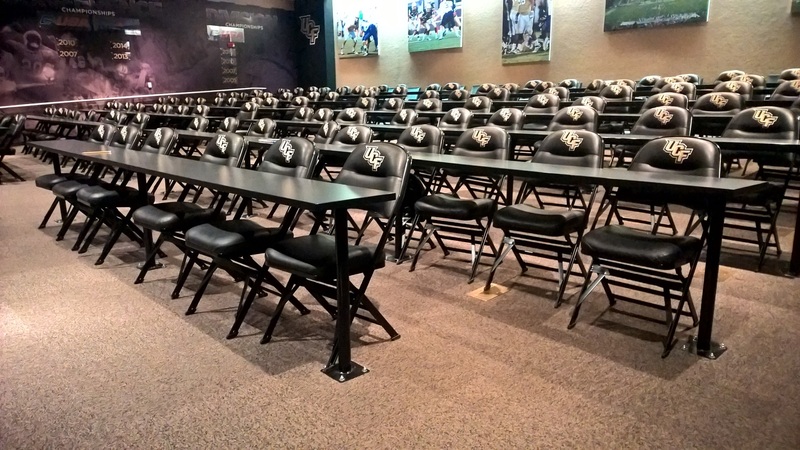 University of Central Florida Football team meeting room. 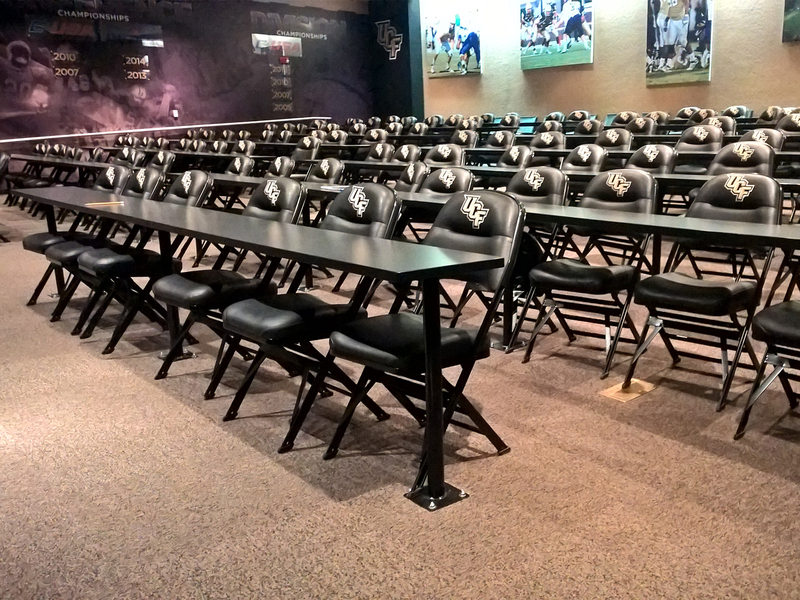 Toledo Furniture developed the tables per the schools specifications to accommodate the sloped floor in the room. 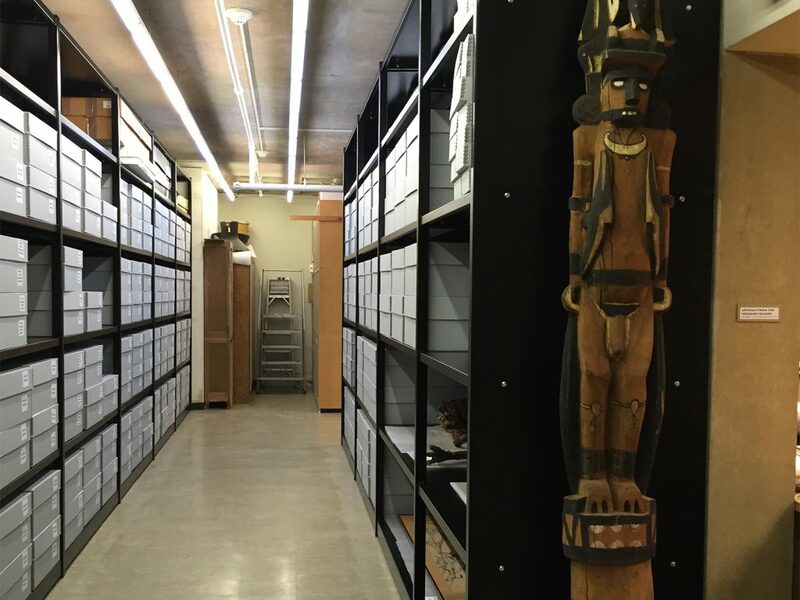 Toledo designed the shelving to fit the skeletal remains boxes and the unique shape of the room. Orange County Schools, Orlando Fl. 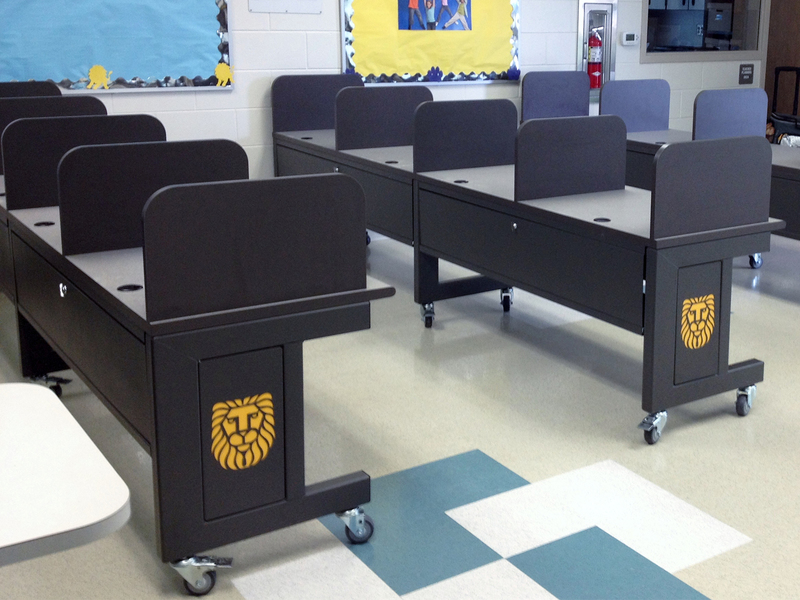 School wanted their mascot laser cut into the end panels of the furniture. Toledo Furniture has the capability to cut any design into our panels. Toledo Furniture worked closely with our client to design a custom Dark Room to fit the specific details needed for the room. Toledo was approached by a university who was experiencing cybercrimes in their classrooms through the use of keylogger hardware. Utilizing our engineering capabilities, we were able to develop a security device that can be matched to any model of mini cpu. 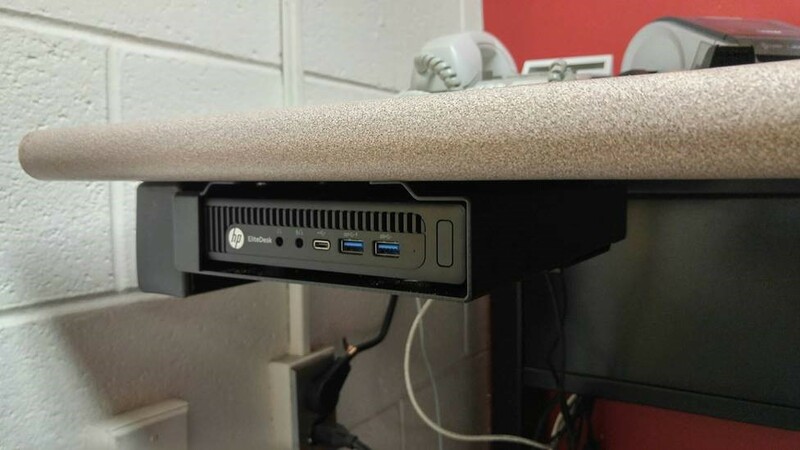 Our design restricts access to the rear of the cpu preventing unauthorized docking, while allowing ventilation to prevent overheating. 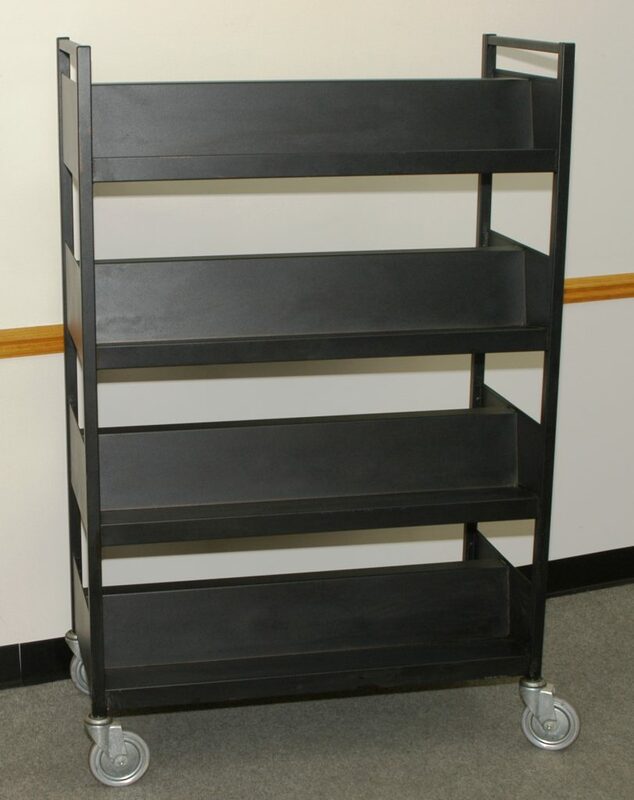 The Toledo book cart can be customized to fit your requirements.